A hacker called "Davee" has managed to get Kernel access in the PS Vita by emulating the entire PSP kernel in the PS Vita. If your not familiar with hacking mumbo jumbom it basically means that the hack allows full compatibility with the PS Vita. The hacker has also already managed to get PSP ISO's running perfectly well using the exploit. Davee has posted a video in youtube using a "PRX Loader" that seems to be used to run the hombrew apps. 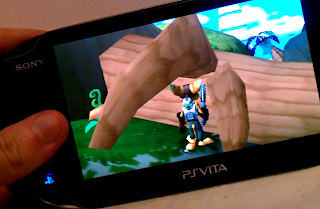 As you can see, there's a bit of Ratchet and Clank gameplay, and that reveals that Davee already has PSP isos working with this exploit. This seems to be the first PS Vita exploit that strikes new ground. Let us know what you think of the hack in the comments below!